Given the results of the past technical cooperation and the findings of recent studies, the future direction of technical cooperation to Sri Lanka by Japanese government has been suggested in the way that project to improve an institutional system for capacity building in the IT sector, and to increase a supply of IT human resources both in industries and government agencies, especially to the growing IT software and services industry, be one of the priority areas. Recordings related to the University of Colombo and other government institutes. Conducting training programmes targeted for people in the industry. ADMTC studio was hired by a private television company to telecast the results of the Presidential Elections held in 2005. 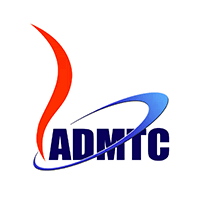 Multimedia Courses for Undergraduate students are conducted using ADMTC lecture halls and laboratories.